In autumn, with the start of the cold weather -or just for fun- we begin to think about the family members who need coats and hats, because we like to knit and that way we can create handmade garments to give them with the affection that we put in the hours of knitting. 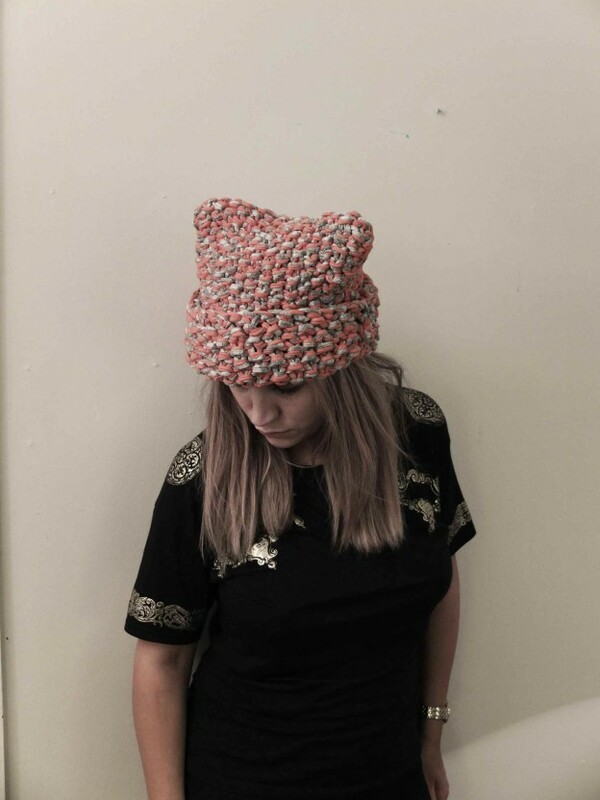 One of the accessories we most use in the cold weather are beanies and as usual in this blog we think in t-shirt yarn knitted beanies. If you know how to knit a wool beanie then you will have no difficulty knitting them with t-shirt yarn just following a scheme. 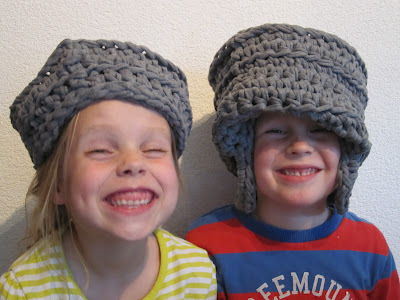 With fabric you can make beanies for children, simple models: with earmuffs, decorated with fabric, pompoms, fringes, braids and whatever you think they like more. 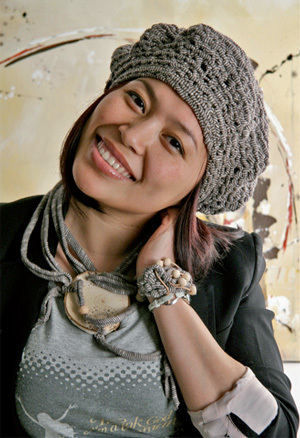 In her blog, Claudiacolor gives us a great idea: make with t-shirt yarn a super modern beret. 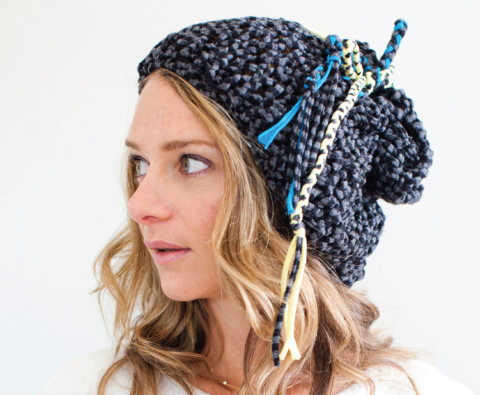 This beanie fulfills a double function. 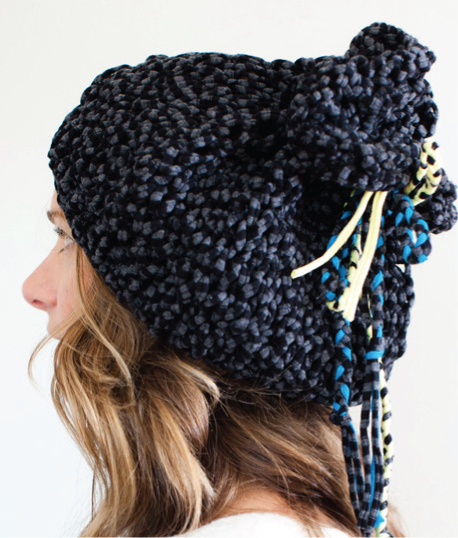 It can be worn on the head on cold days and transformed into a bag when you don’t need to go so warm. Great, right? 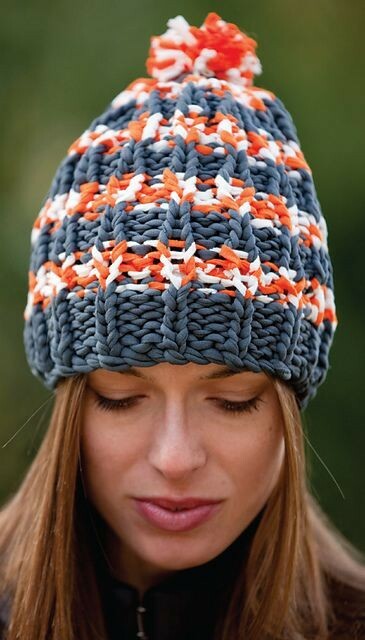 We found this idea in the blog aronoel where you can see how pretty the beanie is transformed into a bag. 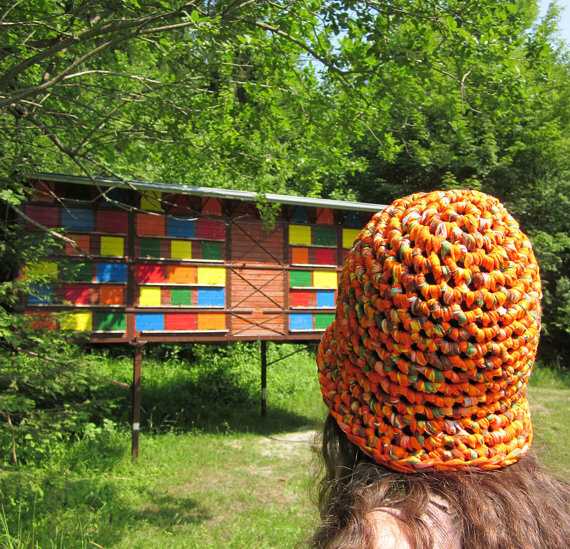 Soon we will share patterns to make t-shirt yarn beanies and other accessories.